We are committed to creating high-quality residential projects around Thailand. To date Silk has completed six wonderful developments in Bangkok. All of which were built on time and delivered to buyers without disappointment. 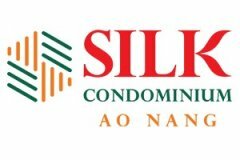 Our latest project, currently under construction is Silk Condominium Ao Nang it will be completed in late 2020. Also joining Silk Ao Nang in the South of Thailand will Silk Kata In Phuket.